If you’re tight on money, but looking for entertainment, then there are plenty of option. 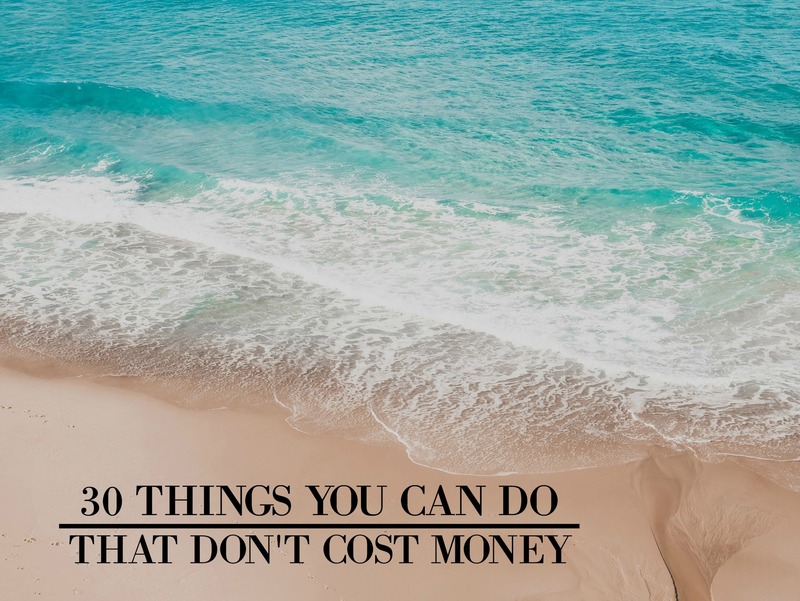 Whether indoor or outdoor, these ideas won’t just keep you busy, but help you save a lot of money too. So let’s check out these awesome 30 ideas that don’t break the bank! 1. Let’s start with a simple trick. Organize your furniture and other items around the house and you’ll feel more relaxed in your own home. 2. Relaxing music can really get you in a great mood. So, try creating your own playlist on Spotify. 3. Learn something new and join a free class. 4. If you’re a girl, visit Youtube and try some new hairstyles or makeup ideas at home. 5. Do you love cooking? Try some new recipes from Pinterest and surprise a friend with something yummy! 6. If you’re a movie lover, borrow your favorite movies from the library for free and spend quality time with your loved ones. 7. If you’re hunting for any outdoor entertainment, then you can simply visit a local park with friends or go for a bike ride. 8. Start practicing palates. Gradually you’ll start feeling the changes in your body and see your posture improve. 9. If you love writing, you can start your own blog for free. 10. Visit your local beach and enjoy sunbathing. It’s a fantastic idea while will brighten up your day. 11. Paint a piece and frame it. 12. If you have any instrument in your house, start practicing it daily. 13. Arrange a glamorous spa treatment in your home with ingredients found in your own home. 14. Visit YouTube and start taking dance lessons. 15. You can write a letter to your spouse or partner. 16. A DIY project is incredible when it comes to making a space feel fresh. 17. If you want to feel happy instantly, you can listen to your favorite podcasts. 18. Watch the sunrise or sunset. Trust me it’s an amazing view. 19. Download some video games and enjoy your leisure time. 20. Plant fruit trees in your garden. 21. Go fishing with friends in a local lake or pond. 22. Start learning a new language. 23. You’ll be surprised to know most people find happiness in daydreaming. It’s a fantastic way to refresh your mind. 24. Start making plans to make those daydreams reality! 25. Prepare your own pizza at home. You can find lessons on YouTube for this one. 26. Do some artwork on your old jeans or clothes. Wear them and showcase your talent to the world. 27. Radio is another superb trick which can make you happy. 28. You can even try video chat with your best friend. 29. Update your resume and start getting new offers from different companies. 30. Prepare a handmade gift for a friend or partner. Bonus! Go for a picnic with close ones! I hope these simple idea will make you feel good without spending money. So try keeping them in mind and let me know what you think!